The host was extremely kind and helpful. She waited us at the port and give us a lift back to the port when we were leaving, provided us with everything needed - water, milk for the coffee, even they treated us with some watermelon. The place is bit worn but very charming with nice paintings done by the mother of the hostess, who is a stylist and they run also a small boutique shop in the town center. 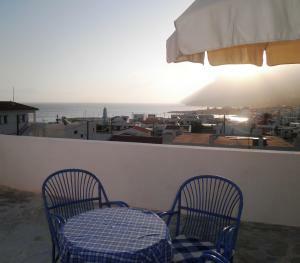 Great sea view from the terrace (a tent or sun umbrella would be a nice add as it is pretty sunny in the morning). In general all the people we met were very kind and we spend nice and relaxing time there. Schöne Lage oberhalb des Dorfes. Stilvolles altes Haus, entsprechend möbiliert. Und trotzdem funktionierten die sanitären Einrichtungen bestens. POSIZIONE Fry, ovvero la capitale di Kasos, è un tranquillo paesino affacciato sul mare. Gli appartamenti sono in posizione rialzata a tre minuti a piedi da tutto. Zona con un silenzio quasi irreale! APPARTAMENTO Il mio "monolocale con vista mare" era ben arieggiato e fresco, spazi non enormi ma vivibili, angolo cucina fornito di tutto. Terrazzino con vista mare. Bagno con la tipica tendina greca per lo doccia. Pulizie puntuali. Wi-Fi senza problemi. COLAZIONE Non ho usufruito di quella della struttura, quindi non saprei valutarla. STAFF Sempre all'altezza della situazione. Η ιδιοκτήτρια ήταν ευγενέστατη και πολύ εξυπηρετική.Λόγω διαθεσιμότητας του καταλύματος μάλιστα,μας μετέφερε σε άλλο,καλύτερο δωμάτιο χωρίς μεταβολή της τιμής.Η τοποθεσία του ξενοδοχείου ιδανική και το δωμάτιό μας είχε καταπληκτική θέα. Lieu idyllique. Décoration intérieure surprenante, grande terrasse avec vue exceptionnelle sur le village et la mer. L'hôtesse est une personne remarquable et particulièrement attentive. On est comme des invités, plus que des clients. Un séjour trop court, qui demande à être prolongé une autre fois. 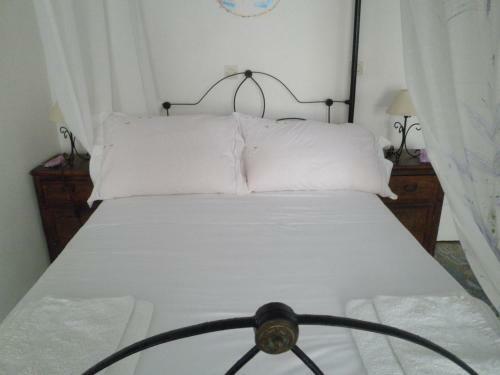 Lock in a great price for Angelica – rated 8.2 by recent guests! Angelica This rating is a reflection of how the property compares to the industry standard when it comes to price, facilities and services available. It's based on a self-evaluation by the property. Use this rating to help choose your stay! 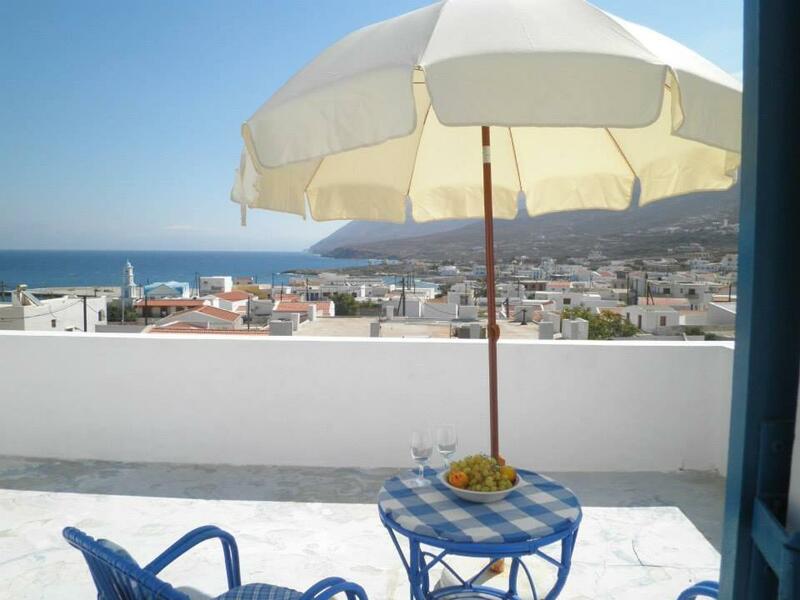 Located in Fry Village, the traditionally built Angelica offers self-catered accommodations with views over the Aegean Sea. Free Wi-Fi is available in all areas. The property facilities include a sun terrace and a garden. Fitted with individually painted floors, all air-conditioned studios and apartments of Angelica open to a furnished balcony. Each features a flat-screen TV and a kitchenette with dining table and cooking hobs. A restaurant and a café bar can be found 500 feet away. The Archaeological Museum of Kassos is 150 feet away, while Kassos Port is at a distance of 650 feet. Kassos National Airport is 0.6 mi away. When would you like to stay at Angelica? 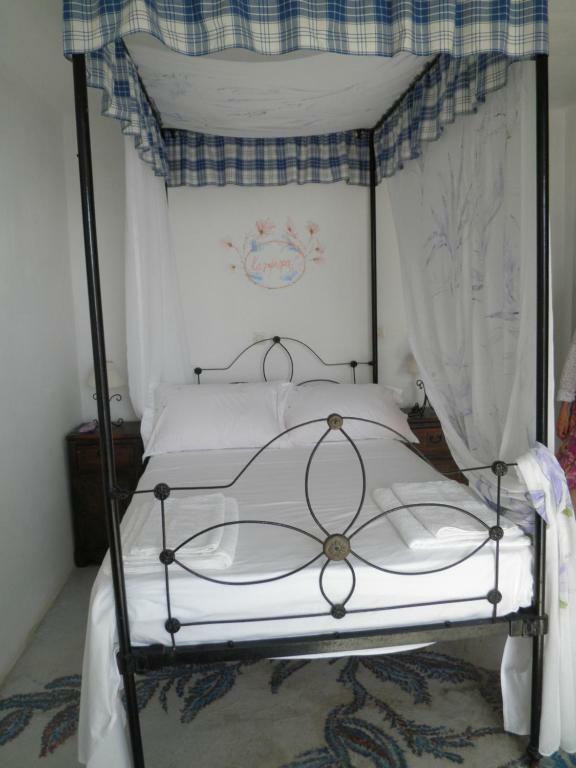 Fitted with individually painted floors, this traditionally decorated and air-conditioned studio opens to a balcony with Aegean Sea views. 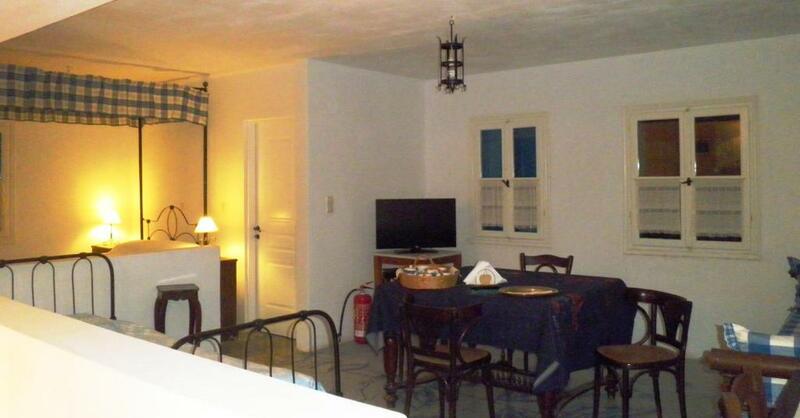 It offers a flat-screen TV and a kitchenette with dining table and cooking hobs. Free Wi-Fi is provided. 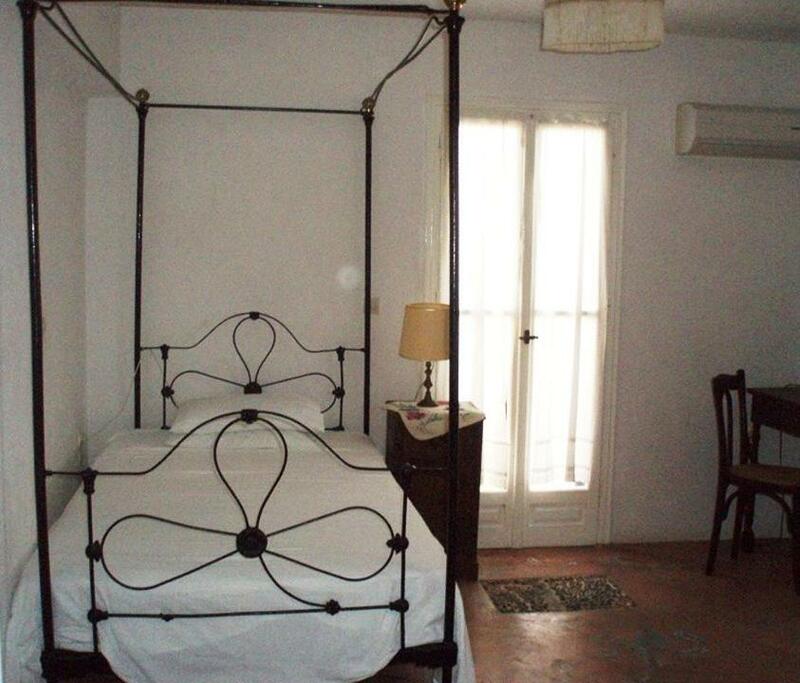 Fitted with individually painted floors, this traditionally decorated and air-conditioned apartment offers a separate bedroom. Opening to a balcony with Aegean Sea views, it features a flat-screen TV and a kitchenette with dining table and cooking hobs. Free Wi-Fi is provided. Angelica's Apartment Hotel is an artistic boutique Hotel with unique decoration in every apartment . 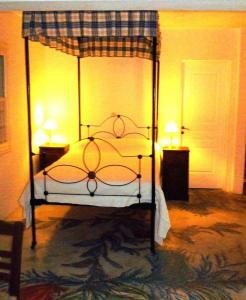 This makes it special and will make your stay in our hotel unforgetable so you wish to come again . The furnishings are also unique and make a pleasent environment for all visitors . The old Mansion of the family (which is next to the apartments) is a caracteristique local architerctural Monument by the Ministry of Civilisation and is worth to be seen by all visitors . So is the traditional pebbles yard which is one of the very few that exists in the island of Kassos. 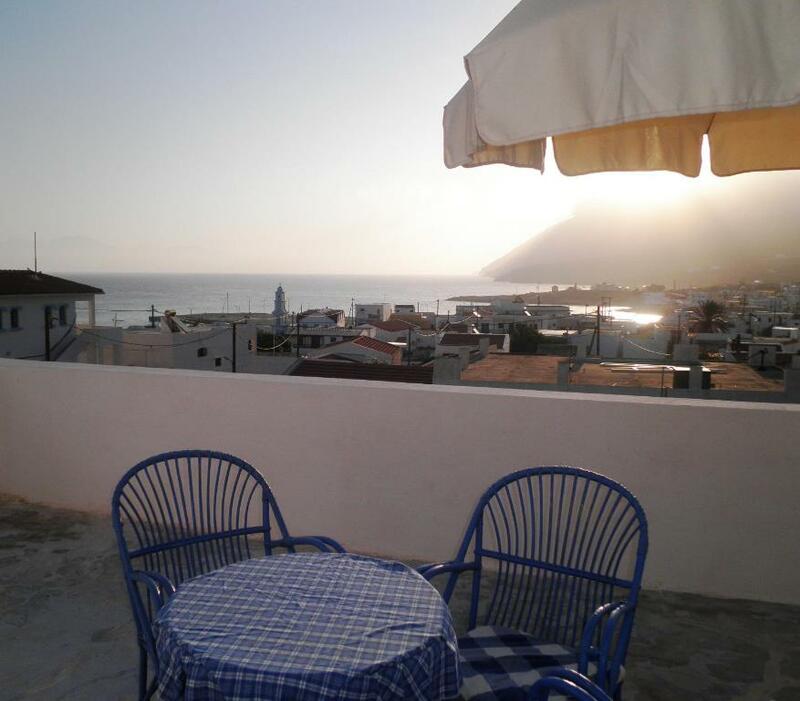 The nice sea view and the peacefull area is another positive point of Angelica's Hotel. The true kindness of the owners Lia and Maria is so genuine which make the visitors stay more pleasent . 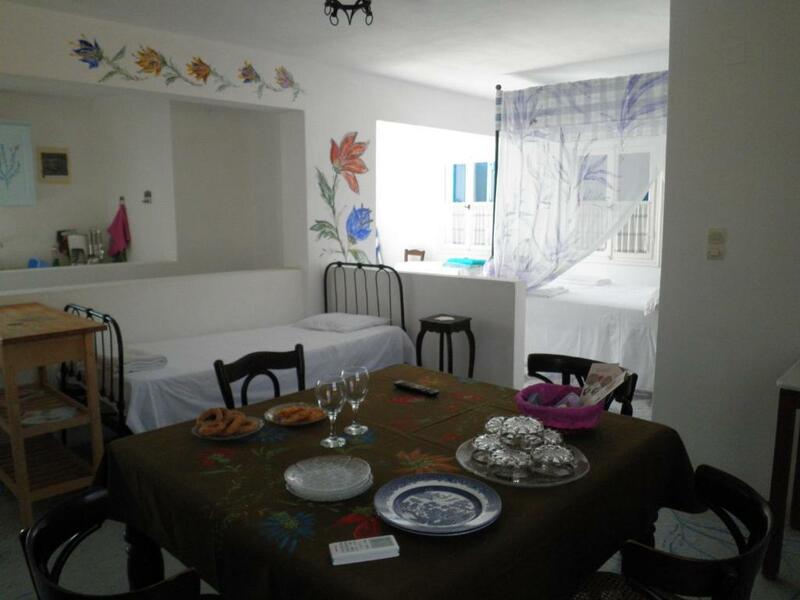 The owners are speaking fluently English and French so the communication is also very easy. The family spirit in the hotel is very obvious . Lia is a Stylist and her doughter Maria is a Chemical Engineer specialized on Environmental subjects . They are both very intelligent and they are also very helpfull to give many instractions for making your stay in Kassos more pleasent . The area where Angelica's Hotel is located is a quite area but near the centre of the village of Fri . In 2 minutes you arrive at the traditional port of Bouka , in 5 minutes you arrive at the main port and in 15 minutes you arrive at Emporios beach ! All taverns and cafe are near the hotel in about 5 minutes by foot . House Rules Angelica takes special requests – add in the next step! Angelica accepts these cards and reserves the right to temporarily hold an amount prior to arrival. Please inform Angelica of your expected arrival time in advance. You can use the Special Requests box when booking, or contact the property directly using the contact details in your confirmation. Lovely friendly people. Very comfortable stay. There are ants, nothing serious but be careful not to leave any food on open spaces.